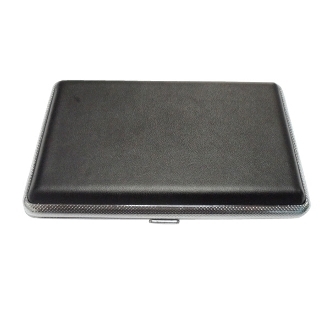 Dse 801 Electronic Cigarette Case. Carry your Dse 801 electronic cigarette in style! Pick up one of these cases, and you'll be able to carry around your essentials in a very organized and conveniant way. Our Dse 801 cases come with indentations that allow you to fit one atomizer, one cartomizer, and two of your batteries. The cases also feature two black elastic straps, keeping your items in place. It's basically an e cigarette survival kit for when you are out and about. Chose any color you fancy from our color options, because who said survival kits cant' be cute?